While it says Grill in the restaurant's name, you can choose between indoor and outdoor seating. The place looks really warm and inviting, with the warm colors and woodsy chairs and tables. 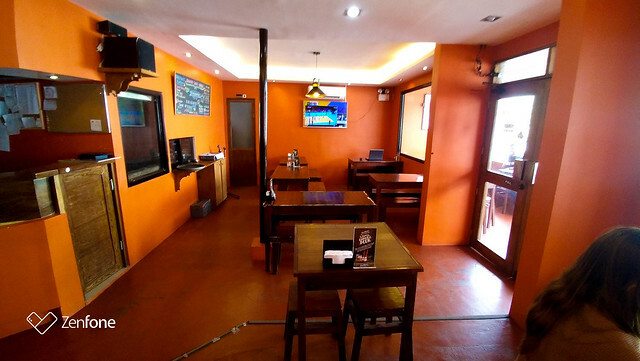 South Side Grill is a family friendly restaurant which is perfect for bonding with the family or your barkada. Parking space in front of the restaurant is available for around 4 cars. But if they are sporting a full house, you can opt to go to the pay parking area just beside the Dreamworld Hotel. Said hotel is in front of South Side Grill. They started with a vision to be a simple carinderya, but then decided that they can serve better and more people if they built themselves as an actual restaurant. 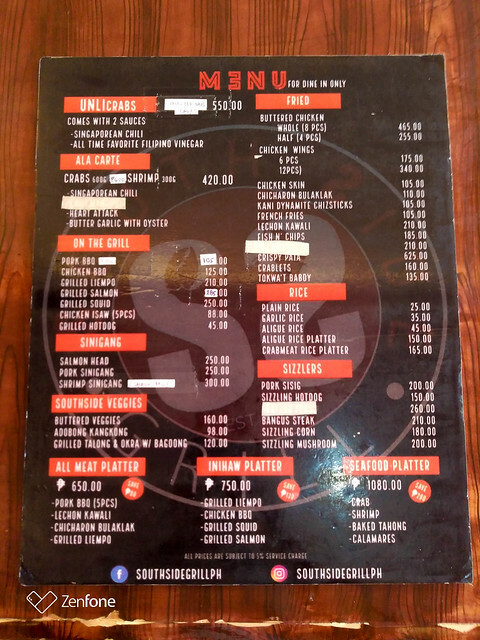 Below are some of the platters and dishes that they have, as well as a copy of the menu. 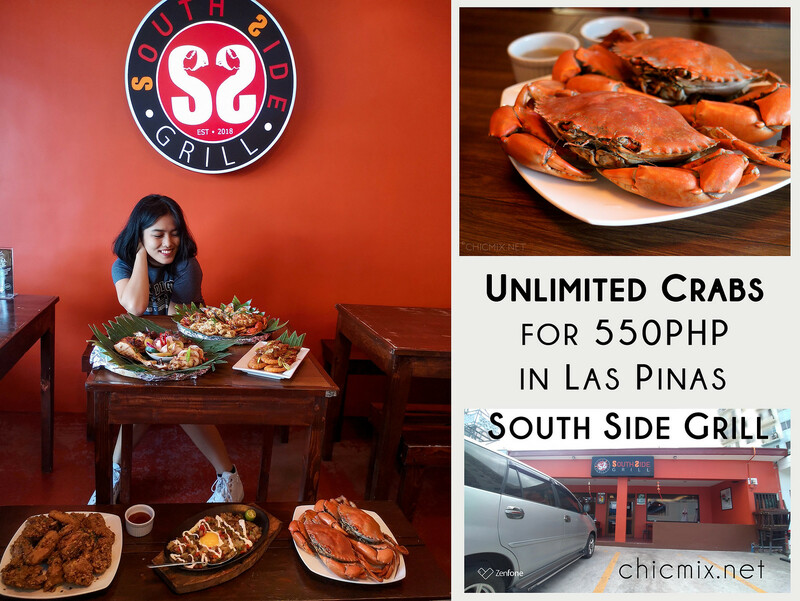 For the unlimited crabs, it is recommended to make a reservation via calling or facebook page message before going at least a day before. Especially if you are planning to go on a weekday. This is to ensure that they serve you the freshest batch of crabs. For weekdays, they make the order after you reserve a slot. If you are coming in on the week ends, you can come in as a walk in guest or reserve on the day. Saturdays are the sure days that they have unlimited crabs available. 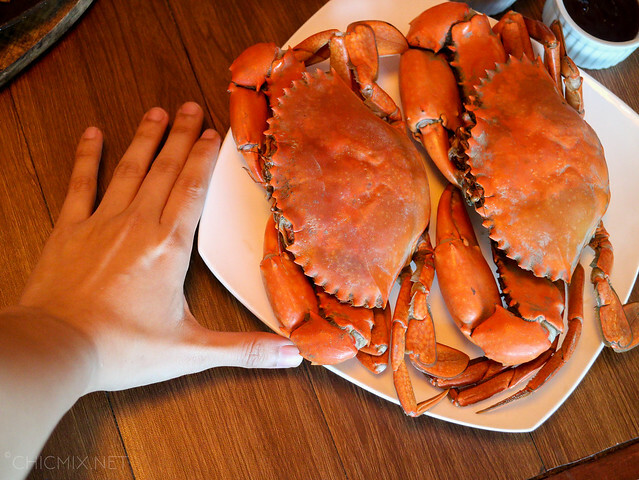 While these are quite big, the size of crab varies per day depending on that day's delivery. I guess it was a lucky day for us when we went. 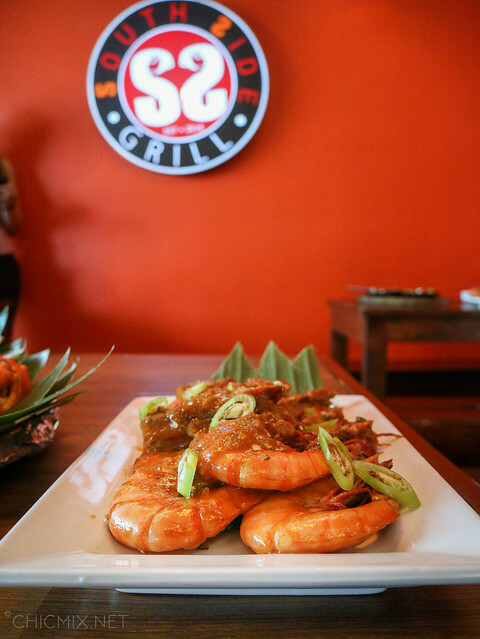 I really love their shrimps, and these you usually order ala carte or on a platter. Ala Carte they cost 420 Php for 300g of shrimps which are a bit bigger than your usual size and is much filling. They can come in with Singaporean Chili or buttered with some oyster sauce. 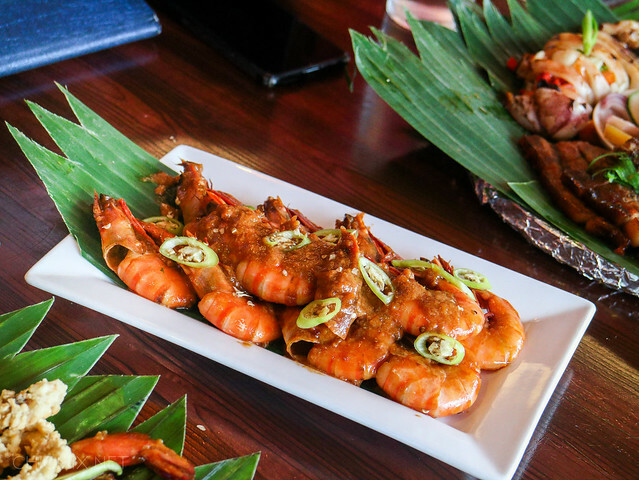 You can also tell them to serve these as dips with the shrimps steamed. The Singaporean Chili has just a perfect hint of kick to the moderate chili lovers out there. 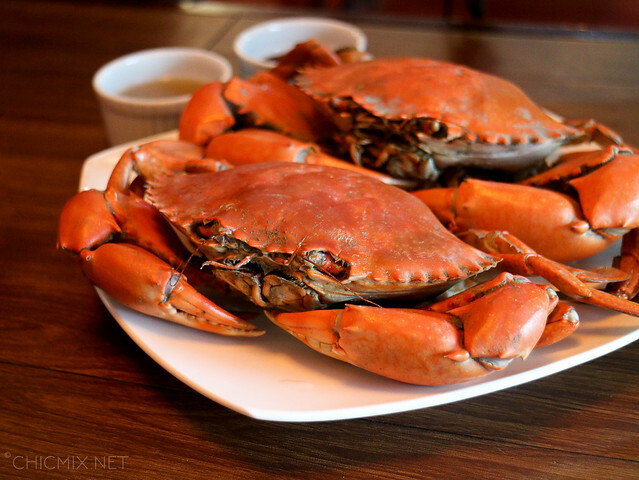 You can also order the crabs per plate at 600 pesos per 600 g., and they come with the same sauces as the shrimps. 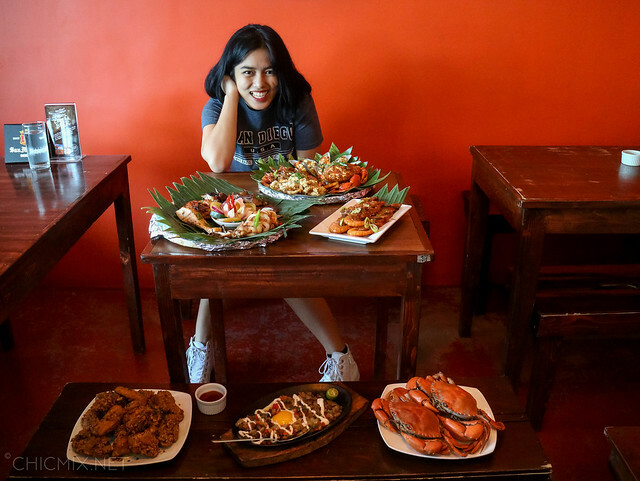 As ala carte, they usually serve the crabs smothered in the sauce but as I said earlier, you can also have them served steamed with the flavors as dips. There's also an All Meat Platter and another platter that's a little hush hush if you know what I mean. *wink wink* Make sure that you check out their menu board for that and other surprises that you might like on your table! 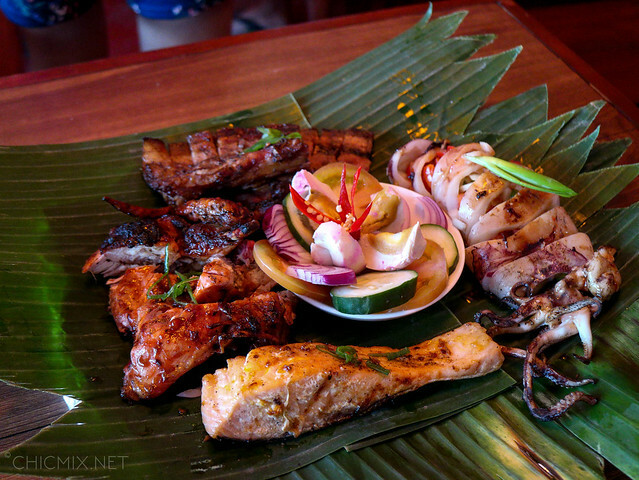 South Side Grill's strength lies in seafood. I and my husband really loved how the grilled salmon is so fresh and tasty, and grilled squid was served not overcooked as it was still quite soft to chew. 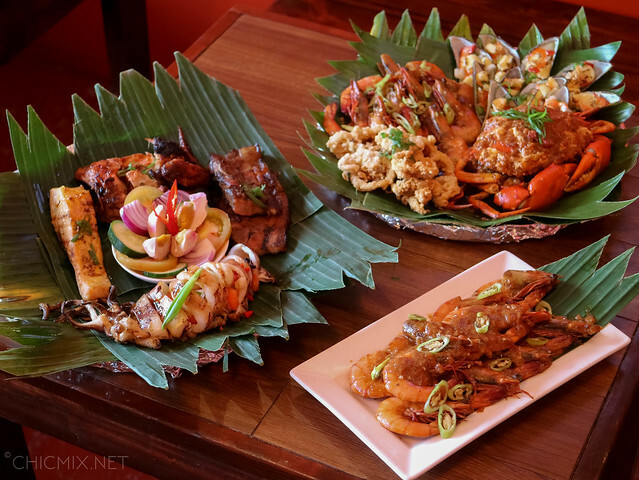 That Seafood platter is really a sulit deal. Especially with a serving of the crab meat rice platter or a couple cups of their garlic rice. Side note on the Baked Tahong which they can definitely improve a great deal by taking out the mayo. I feel that the mayonnaise kinda overpowers the taste of the mussel which is sad because I'm pretty sure they're fresh and yummy on their own. 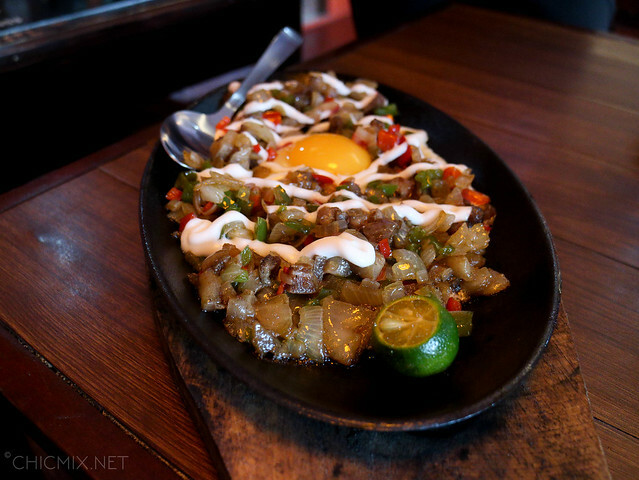 They also have sisig and other dishes perfect for pulutan. I find the sisig a bit over the top with too much mayonaise and veggies to pork ratio is kinda off. 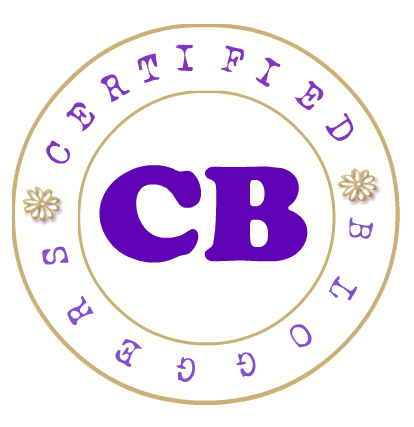 But their best non-seafood dish is definitely the Butter Chicken! 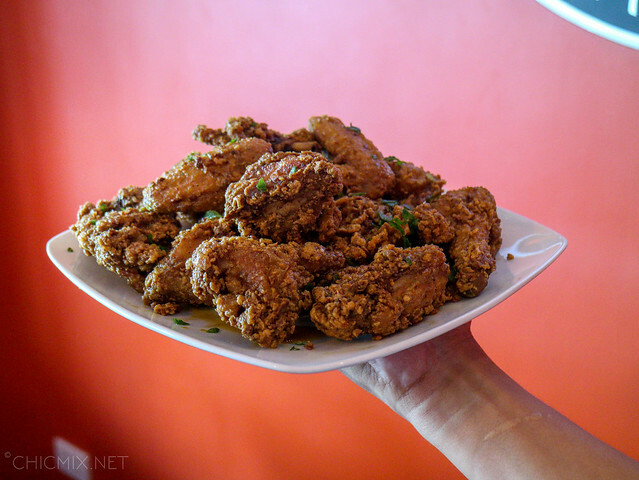 You're getting your money's worth and these are almost as good as Wa Ying Dimsum's buttered chicken which can be found in Binondo. 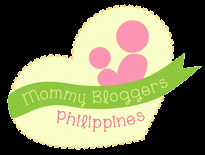 You can get these for 465 Php per 8 pcs. 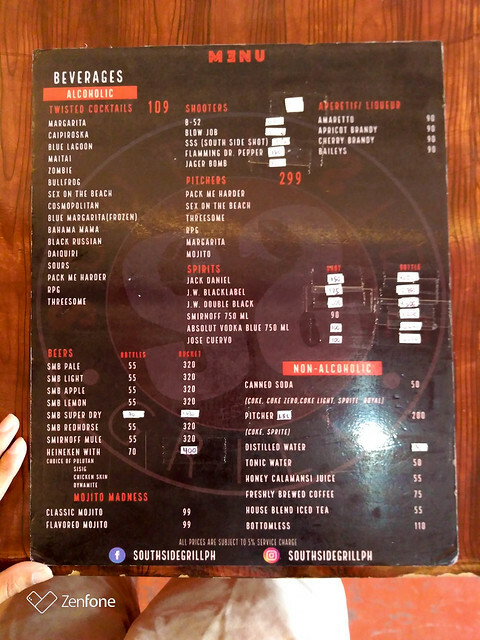 And when it comes to alcoholic drinks, they have some of the cheaper prices out there in the market, with a Mojito, Margarita and other drinks costing 299 per pitcher. They have beers at 55 per bottle. Yup. 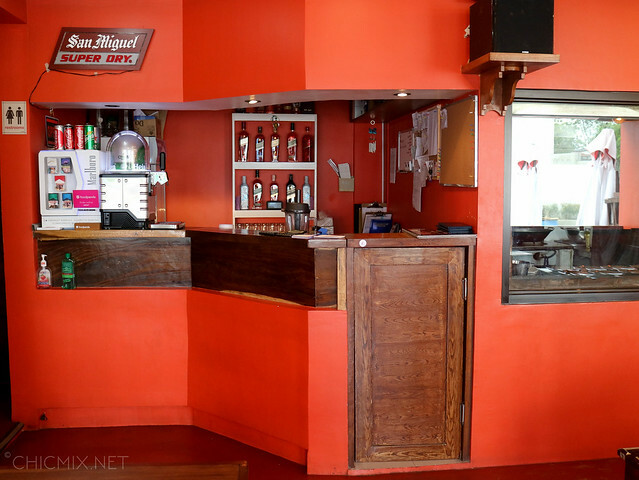 They also have a variety of non alcoholic drinks to choose from. A side note is that you can see the kitchen inside the restaurant. They have this glass window separating the two which can entertain your kids if they're feeling a bit rowdy. 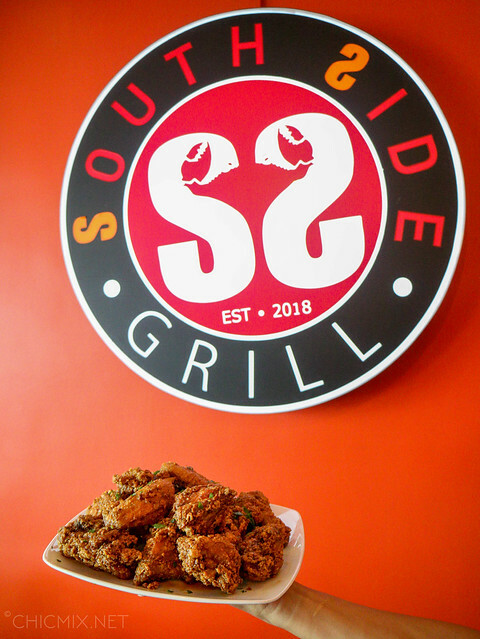 Gigs and entertainment at South Side Grill are scheduled on wednesdays, fridays and saturdays, with a rotation of different bands. Some days they have an Open Mic Session where customers can also sing out their hearts if they wish to. 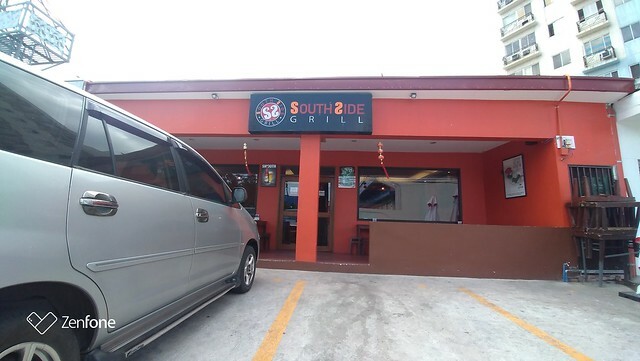 South Side Grill's street is just in front of SM South Mall, the street between Mcdonald's and a gas station on the northbound side of the road. Once you're on that street, it is right in front of the Dreamworld Hotel. 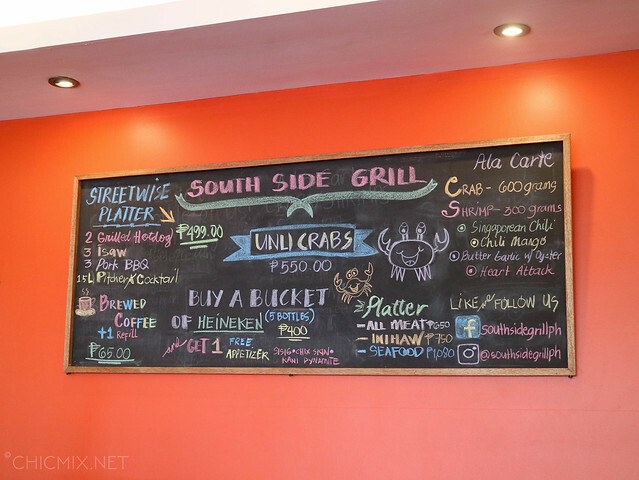 So if you are in the south or if you are craving for some great and fresh seafood but Dampa is too far away, you can always drop by South Side Grill! i love seafoods 👏 Ive been wanting to try crab all you can somewhere in Baclaran daw. 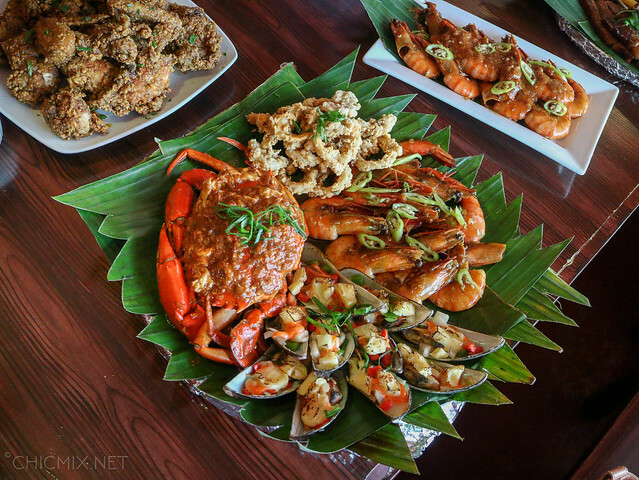 Seafood platter is sooo delicious pang family / barkada. 👏 Atleast mabilis makita eto kasi tapat lang ng mall.